Capt. 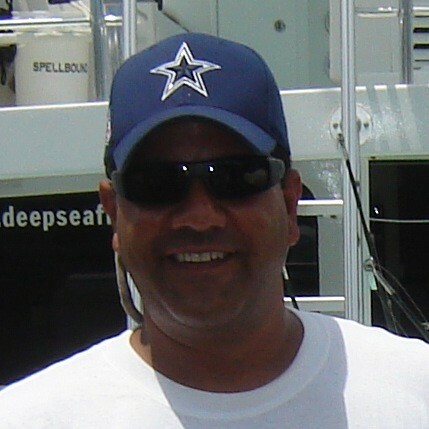 Manny has been with Reel Adventure Charters and working on the “Spellbounds” for more than 12 years. Capt. Jay and Capt. Manny have been fishing together since they were both about 12 years old. They both grew up as drift boat “rats” fishing as much as possible. With a total of more than 27 years professional fishing experience, Capt. Manny is a Specialist in Kite fishing for Sails, Trolling, Shark Fishing, Live Bait, & Bottom fishing. Well rounded with lots of tournament experience. Capt. Manny will make your day fun, & exciting with the ability to get you that Fish of a Lifetime.